Who can adopt from Eastern Europe? Single, married and previously divorced parents may adopt from Eastern Europe. Applicants must be a minimum of 18 years old however some countries have minimum and maximum age restrictions. Good general health is a requirement. 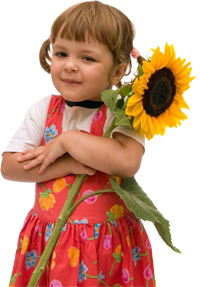 Healthy children from nine months to sixteen years old are available for adoption. Who chooses the child to be adopted? Prospective parents will travel to the country to meet and visit with the child before the adoption takes place. Does UAS provide service to families living outside of Manitoba? Yes, UAS is happy to work with families outside of Manitoba (with the exception of the provinces of Ontario and Quebec as per their respective provincial adoption regulations) by coordinating the required documents and facilitating the Adoption Process in the foreign country.